Dr. Raymond Corsini (1914 - 2008) was born in Rutland, Vermont, the son of an immigrant marble cutter. During his career, he published more than 40 books, two four-volume encyclopedias of psychology, a dictionary of psychology, the most widely used textbook in psychotherapy, and scores of journal articles. He received his Ph.D. from the University of Chicago. Well into his nineties, he continued to be a productive scholar in psychology and was internationally recognized. His fertile, imaginative and courageous mind and his endless energy made him a source of inspiration for psychologists around the world. He lived for many years in Honolulu, Hawaii with wife Kleo, a physician. Dr. Patrick Deleon is a former President of the American Psychological Association. He currently serves on the staff of US Senator Daniel Inouye of Hawaii and is considered one of the most powerful leaders in the formation of public policy regarding health and medical care. He also holds a degree in law. He has served as one of the founders of the American Society for the Advancement of Pharmacotherapy and an annual award is named in his honor for advancing the field of pharmacopsychology. Dr. Deleon received his Ph.D. from Purdue University in 1969. He lives in the Washington, DC. area with his wife, Jean, who is also a psychologist. Professor L'Abate is one the founders of family psychology and therapy. He was born in 1928 in Brindisi, Italy and migrated to the US in the 1940s. He has published more than 25 books and hundreds of journal articles. He has received numerous awards in the United States and in Italy. In Italy, he is revered as one of the pioneers in changing Italy's mental health system to a community and family based treatment approach. 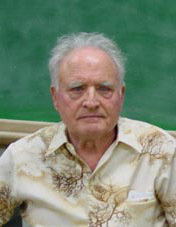 He received his Ph.D. from Duke University and served as a professor of Psychology at Georgia State University in Atlanta for decades, where he trained scores of psychologists in family therapy and assessment. At age 78, he continues to write books and give lectures that draw huge audiences. He lives in Atlanta, Georgia with his wife. Dr. Matarazzo holds the distinction of being the longest serving (still active) professor of psychology in the United States. Indeed, APA will honor him for this exceptional record at its annual convention in 2007. Professor Matarazzo was born in 1927 and completed his Ph.D. at Northwestern University. He is currently still teaching medical psychology at Oregon Health Sciences University in Portland, Oregon. Imagine, a teaching and research career of more than 57 years and still going strong. 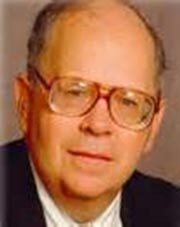 He is a former President of the American Psychological Association and published more than 200 scientific articles and books. He has served as president of so many scientific and professional groups that it is impossible to list them. Suffice to say in this brief venue, he is one of the founders of medical psychology and continues to revered for his research and teaching. He lives in Portland with his wife Jean, who is also a psychologist. Dr. Zimbardo has frequently been on American television in recent years because of the publication of his book, The Lucifer Effect. He is a celebrity in psychology because of his well known Stanford Prison Studies in which he demonstrated how social contexts and role assignments can lead to acts of evil and violence. Dr. Zimbardo became one of the "faces of psychology" through his leadership role in the acclaimed Discovering Psychology series. Professor Zimbardo was born in 1933 in the Bronx, NY and received his Ph.D. from Yale University. 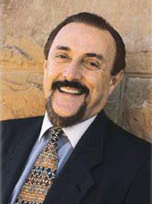 Professor Zimbardo has been at Stanford University for most of his academic career. He has authored one of the best selling introductory psychology textbook in the country and is known for his teaching excellence. He has published more than 300 articles and more than fifty scholarly and trade books. He has served as President of the American Psychological Association, and maintains an active advocate for peace and social justice. Most recently, Dr. Zimbardo has created the Heroic Imagination Project to utilize the tools of social psychology to transform negative situations and create positive change. He lives in Palo Alto, California with his wife, Christina Maslach, who is also a psychologist. Dr. Marsella is a pioneer in the study of culture and psychopathology who has challenged ethnocentrism and various racial biases inherent in psychology and psychiatry. He has published fifteen books and more than 300 book chapters, journal articles, and technical reports. 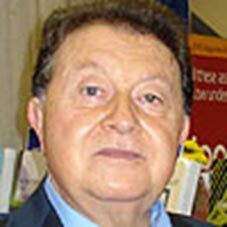 He is past President of The Psychologists for Social Responsibility (PsySR) and Co-Founder of the Italian American Psychological Society (IAPS). He is also Past Director of the WHO Psychiatric Research Center. Dr. Marsella was awarded a Fulbright to Ateneo De Manila University (Philippines). As President of PsySR, Dr. Marsella has been a leading advocate for changing the APA policy on psychology, ethics and torture. Previously, he was a Senior Editor for the Encyclopedia of Psychology. 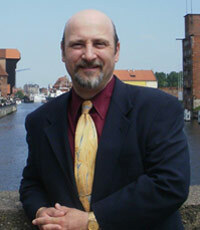 He is currently Series Editor for cultural and international psychology for Kluwer Academic and Plenum Press. Dr. Marsella is the recipient of the Medal of Highest Honor from Soka University (Japan), multiple APA awards, an honorary doctorate from the University of Copenhagen (at a ceremony presided over by the Queen), and a Presidential Award by the Asian-American Psychological Association. The Psychologists for Social Responsibility created the Anthony J. Marsella Prize for Peace and Social Justice in his honor. Dr. Merenda has been one of the world's most prolific psychometricians, having published three books, nearly 300 articles, technical reports, reviews, chapters, and test critiques across 26 professional journals and other refereed media. In 1967, he received a Fulbright award to the University of Palermo in the laboratory of Applied Psychology where he and director, Professor Giuseppe Migliorino, initiated "Identification of Talent in Developing Countries: A Project Talent for Sicily" which continued for eleven years. In 1974 Dr. Merenda was awarded a second Fulbright to the University of Palermo. He has also received awards or grants from the Cousiglio Nazionale delle Ricerche, Rome; the Scientific Affairs Division of NATO, Brussels; the Inter-national Labor Office, Geneva; the Pacific Cultural Foundation, Taipei, Taiwan; the R.O.C. Ministry of Education, Taipei, Taiwan and the Gulbenkian Foundation, Lisbon, Portugal. In addition, Peter has been awarded a number of honors, including the APA Karl F. Heiser Presidential Award, the New England Psychological Association Distinguished Contribution Award, and the APA Outstanding Contributions to International Psychology. Dr. Cacioppo is the Tiffany and Margaret Blake Distinguished Service Professor, Director of the Center for Cognitive and Social Neuroscience, and Director of the Arete Initiative of the Office of the Vice President for Research and National Laboratories at The University of Chicago. He is a founding father of the field of social neuroscience and a world expert on social isolation, and on emotions and emotional contagion. 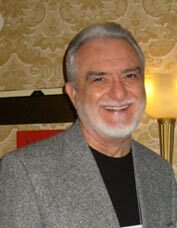 Dr. Cacioppo has published 16 books and more than 400 reviews, articles, and chapters, and is listed in ISIHighlycited.com as one of the 100 most highly cited scientists in Psychology/Psychiatry. He is the recipient of many awards from such prestigious organizations as the APA, the National Academy of Sciences, the Society for Psychophysiological Research, and the Society for Personality and Social Psychology. 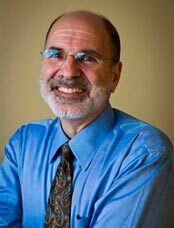 Dr. Cacioppo is also a Past-President of the Association for Psychological Science, the Society for Psychophysiological Research, the Society for Consumer Psychology, and the Society of Personality and Social Psychology. 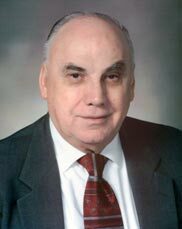 Dr. Pepitone is Professor Emeritus at the University of Pennsylvania. During WWII he was part of a research unit that constructed and validated test batteries for pilot selection and other aircrew members. Twice he was awarded Fulbright Scholarships (Netherlands, 1960 and Rome, 1967). 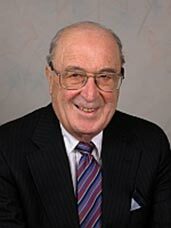 Dr. Pepitone has been involved in some of the most influential social psychology work of the 20th century including time spent at the Solomon Asch Center, the Research Center for Group Dynamics at MIT, and the Institute for Social Research at the University of Michigan. His areas of research include distortions in social perception, cognitive consistency models, aggression and violence, group cohesion, justice and altruism, and non-material belief systems. In 1989 he was awarded the Kurt Lewin Award in Social Psychology by the New York State Psychology Association. He is also an Honorary Fellow of the India Academy of Psychology. 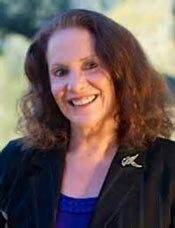 Dr. Pepitone has served as consulting editor for several prestigious American and European social psychology journals and is past president of Division 8 of APA as well as several other major professional societies. Dr. Costantino's work has had a major impact in the development of multicultural projective instruments to assess and treat Hispanic and Latino American adolescents and adults. The TEMAS (Tell-Me-A-Story) is the only projective clinical test for assessing emotional conflict in Latinos. It was used to screen for distress in Latino adolescents affected by the events of the World Trade Center. More recently, the TEMAS has been validated to screen for emotional conflict in Italian and immigrant school children in Italy. 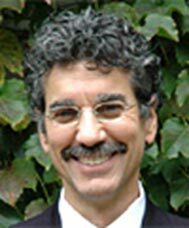 Dr. Costantino's work has also led to the development of interventions to engage Latino's in therapy (Cuento Therapy and Hero Modeling Therapy). Dr. Constantino has generated more than 50 publications that deal with various aspects of multicultural psychology and has received more than 20 million dollars in research funding. Dr. Costantino is Consulting Editor of the Hispanic Journal of Behavioral Sciences. He has also served as consulting editor for the Journal of Personality Assessment and the Revista IberoAmericana de Diagnostico y Evaluacion Psicologia. Dr. Lamia is a noted clinician and media psychologist whose body of work has had a major impact on extending psychological knowledge to the public. For nearly thirty years her opinion has been sought in hundreds of television, Internet, radio and print media interviews and discussions. For ten years she hosted and produced a weekly call-in show, Kid Talk with Mary on the Radio Disney stations. Her investment in child mental health has led to collaborations with the California Governor's Office, the California Department of Health Services and the American Psychological Association. Dr. Lamia's books and journal publications have focused on parenting and child mental health as well as media preparation for psychologists. She also blogs regularly for Psychology Today. 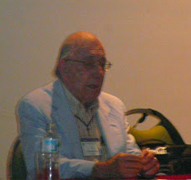 Dr. Messina is the co-founder of the IAPS. Her vision and persistence has made this organization a reality. In recognition of this seminal contribution, the IAPS Board of Directors has unanimously awarded her the title of Lifetime Honorary President. Dr. Messina was also a driving force behind the 2009 Palermo conference. Dr. Messina embodies the classic scholar-practitioner ideal. She maintains a private practice in Manhattan, NY and is also program psychologist at NSLIJ Lenox Hill Hospital's A Doctor at Your Door House Call Program which integrates primary care medicine and psychology. At the same time, Dr. Messina is a productive scholar who is currently editing an anthology which promises to be major contribution to the literature on Italian and Italian-American Psychology, culture, and behavior. Previously Dr. Messina was an adjunct professor of Psychology at Fordham University and a faculty member in the Department of Psychiatry at Lenox Hill Hospital. As a scholar and researcher, she has conducted cross-cultural research in Italy and the United States focusing on culture, gender, and health psychology, specifically, the under treatment of cancer pain. 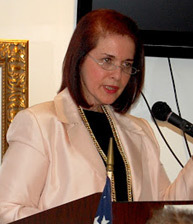 She is the author of numerous articles focusing on Italian Americans and is the editor of In Our Own Voices: Multidisciplinary Perspectives on Italian and Italian American Women. Dr. Messina was also the past Vice-President of the American Italian Historical Association. 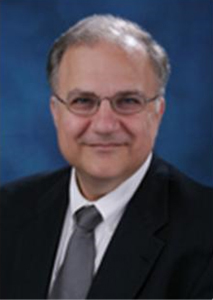 Dr. Naglieri is a noted scholar and author, whose body of work exceeds 250 publications. His work has had a major impact in the development of tools to diagnose and treat children with various forms of impaired cognition, including attention deficit disorders, Autism Spectrum Disorders and developmental disabilities. He has also developed a variety of instruments to measure a child's social-emotional strengths. Dr. Naglieri's work has also been devoted to a reconceptualization of intelligence, culminating in a new intelligence test called the Cognitive Assessment System (CAS). The CAS has been published in Japan, Korea, Norway, Spain, and Italy. More recently, Dr. Naglieri and his Italian colleagues used data from the Italian CAS to respond to a recent article on presumed intellectual differences between the Italian north and south. 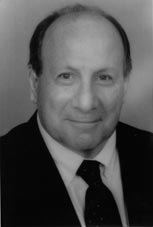 Dr. Naglieri has received numerous awards including: The Ohio State University Faculty Research Award (2000), the Ohio School Psychologists Association Bartlett Award (1995), the Arizona Association of School Psychologists President's Award (1981), the APA Division 16 Senior Scientist Award (2001). Dr. Pickren is a noted historian, scholar, author, and professor of psychology. He is a widely respected author/editor of six books, and well over 70 book chapters and journal articles. Currently he is the Editor of the History of Psychology and has served as the Historian of the American Psychological Association since 1998. Dr. Pickren is also the co-editor of the book series, Psychology in a Global Era, with fellow Italian-American and IAPS Co-founder, Anthony J. Marsella, Ph.D. An important focus of Dr. Pickren's research is the use of scientific knowledge across national and cultural boundaries; the history of race, ethnicity, and gender in post WWII psychology, indigenous psychologies and resilence among immigrants. He has received numerous awards including: The Early Career Award, APA Division 26, Society for the History of Psychology and the Helmut Adler and Leonore Loeb Adler Distinguished Psychologist Award, New York Academy of Sciences. Dr. Pickren is the current President of the Society for the History of Psychology, and President Elect of the Society for General Psychology. Dr. Piedmont received his Ph.D. from Boston University. He completed a two-year postdoctoral fellowship at the National Institute on Aging (NIH) with Paul Costa, focusing on the Five-Factor Model of personality (NEO). This work became the organizing paradigm for his seminal research on spirituality and assessment. Currently, he is Professor of Pastoral Counseling at Loyola University Maryland. He has developed a widely used measure of spirituality, the Assessment of Spirituality and Religious Sentiments (ASPIRES) which is a significant predictor of multiple psychosocial outcomes across a variety of cultures and faith systems. Dr. Piedmont is former president of APA Division 36 and the individual most responsible for revitalizing this segment of psychology which deals with religion and spirituality. Under his leadership, Division 36 began to hold an annual midwinter meeting, was transformed into a society and founded a new APA journal, Psychology of Religion and Spirituality, for which he is the senior editor. Dr. Piedmont is also co-editor of Research in the Social Scientific Study of Religion, as well as being on the editorial board of several other journals in the U.S. and Europe. 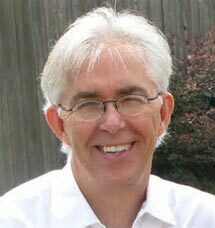 Dr. Piedmont has published over 100 professional research articles, book chapters, and books in the areas of personality assessment and spirituality.